Throughout the week I take a lot of pictures of things that catch my eye. So I’m going to start a new series of posts to share the best of those pictures with a little background story for each of them. 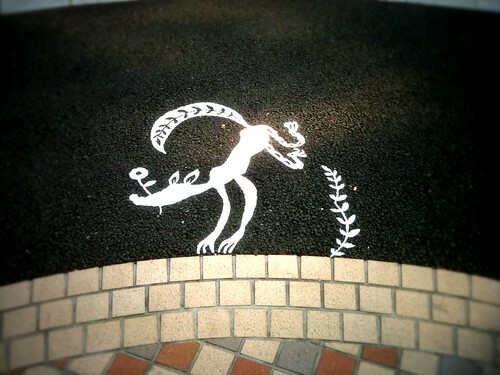 In the last year Yoyogi Park widened and repaved its entrance. I suspect it was done to chase off the mini homeless camp that inhabited its fringe and deter skateboarders. Now it’s a soulless blacktop. Except for these simple and whimsical silhouettes. 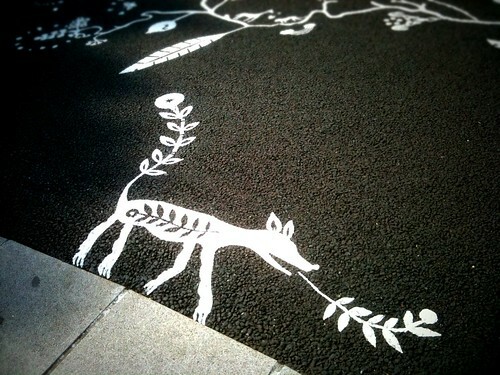 My daughter Moka found these animal tracks painted on some steps at the Ebisu Garden Place. The words bovo and mustela sounded vaguely Spanish but I knew they weren’t Spanish. I later found out that a whole alphabet of Esperanto words were painted all over the area in preparation for a cultural festival that just ended tonight. 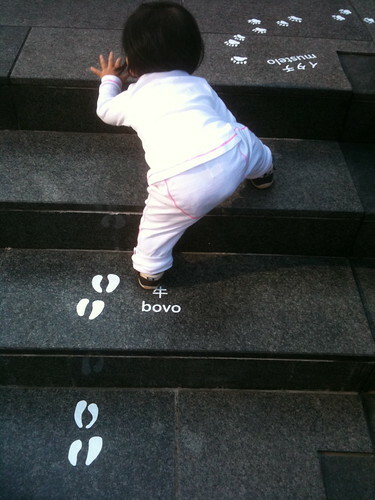 Bovo means cow. And a mustela is a weasel. Moka gets her share of attention from strangers when she’s out and about. Mostly, they’re warm smiles and comments about how cute she is. Occasionally, people take pictures of her. And this past week, she got two gifts. 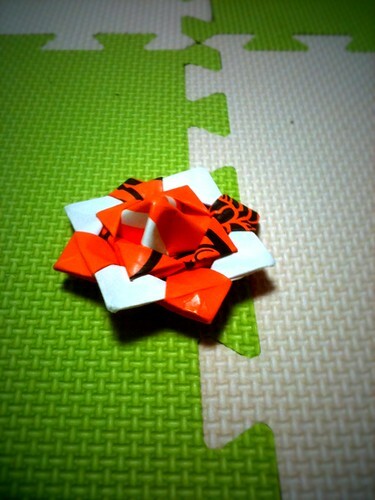 An elderly lady pulled out this complex origami top out of her bag and gave it to me. At first I thought she just wanted me to show it to Moka and spin it for her, which I did. But then she walked off and told us to enjoy it! An elementary school girl and her mother were walking through a plaza. The girl had a red balloon that immediately got Moka’s attention. She pointed at it, and that got the girl’s attention. 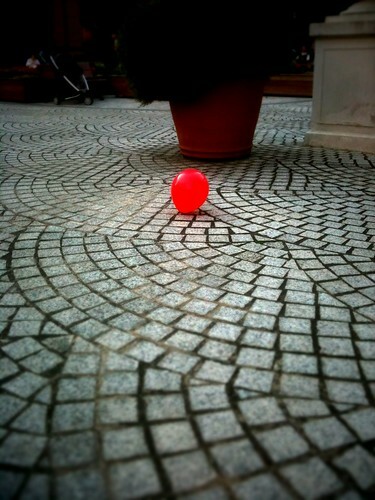 So she veered over to us and gave the balloon to Moka. Two strangers casually handing out gifts. More random acts of kindness and giving please! And finally, there was this cluster of wind chimes randomly hanging from a ventilation grate at Harajuku Station. 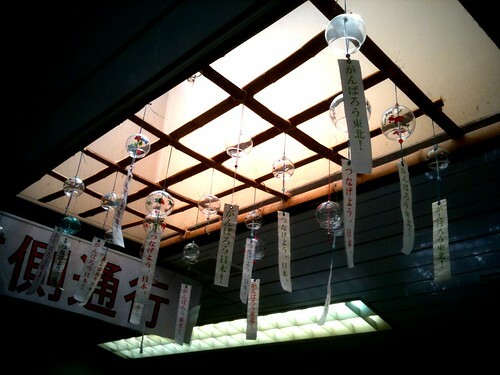 Written on them are words of encouragement to the people of northeast Japan. Are you trying to lure us back? It’s really remarkable when you see people express themselves so peaceful and divine. To me, it seems so effortless and easy for Japanese to do a good deed without any hesitation, how good is that? Isn’t that wonderful to have Moka grow up in such a healthy environment?! i often wish i could raise moka in a more natural environment, with cleaner air and no city noise. but you’re so right. it’s a gift to have her be in such a relatively peaceful and safe community. 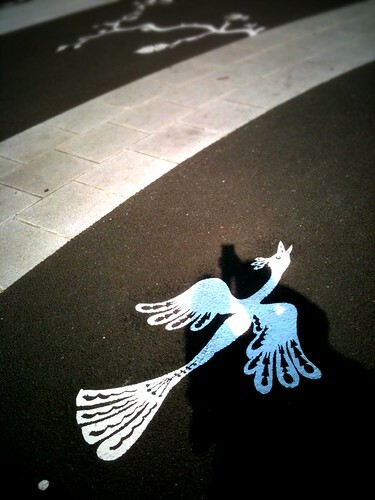 2012 年 02 月 24 日 – 上午 7:27 4FI simply want to tell you that I am just new to blignogg and site-building and really enjoyed your page. More than likely I’m likely to bookmark your site . You definitely have awesome well written articles. Bless you for sharing your blog site. thanks and good luck with you new site!